Tobey Maguire Is Really Into Competitive Puzzling These DaysGame night! Adult Swim’s The Shivering Truth Trailer Will Give You Stop-motion NightmaresFrom the mind of Wonder Showzen co-creator Vernon Chatman. Theater Review: Lobby Hero Comes Knocking AgainKenneth Lonergan’s 2001 play finally makes it to a Broadway house. When You Think of Michael Cera, You Could Think About His MusicWhen he’s not acting, you can find Michael Cera trying to figure out how to score a documentary and collaborating with Sharon Van Etten. 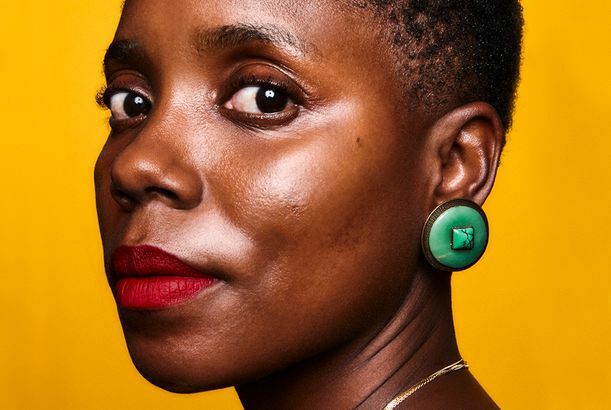 The Hilariously Bleak Janicza Bravo Is the New Voice of ComedyMeet the idiosyncratic director Michael Cera, Judy Greer, Donald Glover, and Sarah Jessica Parker all want to work with. Lemon Is Not the Flailing-White-Male Sundance Comedy You Think It IsThe sublimely awkward debut feature from Janicza Bravo turns a subgenre on its head. Molly’s Game Trailer: Jessica Chastain Runs a ‘Man Cave’ for Movie StarsAaron Sorkin’s directorial debut, co-starring Idris Elba. Michael Cera in Talks to Join Aaron Sorkin’s Poker Drama, Unless He’s BluffingHe would join Jessica Chastain and Idris Elba in the Sorkin-helmed biopic. Willow Smith and Michael Cera Made a Song Cera produced whatever “twentyfortyeight 2.0” is. Lindsay Lohan Has a New Year’s Gift for YouHuh? Human People Stars a Lot of Cool Human PeopleLike all your favorite indie movies merged into one. Michael Cera (Him?) Joins Lego Batman As RobinThat’s Robin the superhero sidekick, not the singer-songwriter. Michael Cera’s Surprise Album Is Really Pretty GoodHe released it Beyoncé style. Tavi Is Going to Be on BroadwayYet another string to her bow. Michael Cera Headed to Broadway in This Is Our YouthWith Kieran Culkin. Seth Rogen Cast the Usual Suspects in His Animated MovieFranco, Hill, Cera, Krumholtz, Wiig. Papa Apatow would be proud. John Hawkes, Michael Cera Join Kaufman ComedyFor FX. Michael Cera Will Direct Episode of 10 CommandmentsWhich commandment will he get? Photos: Michael Cera on the Set of David Cross’s HitsCera plays a pot dealer who disappoints his customers in Cross’s directorial film debut. Movie Review: Crystal Fairy Is One Drugged Up, Out There MovieStarring Michael Cera and Gaby Hoffmann.